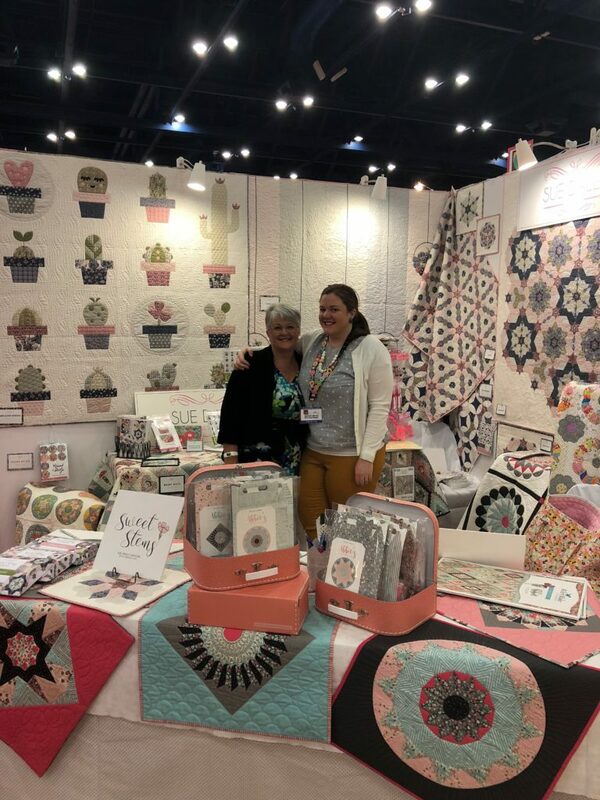 Fall 2018 International Quilt Market is officially over and we have so much to share with you! First off, save the date! 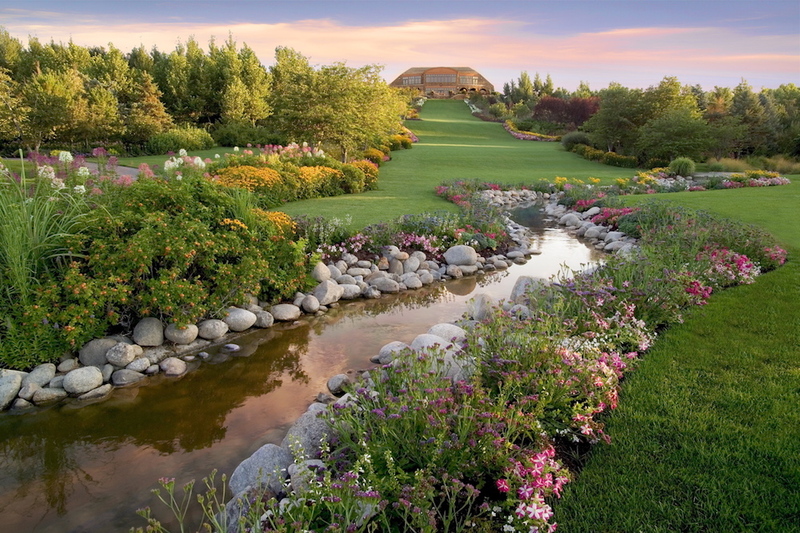 We are super excited to announce a special Garden of Quilts event to be held in Utah at Thanksgiving Point, September 12-14 2019. 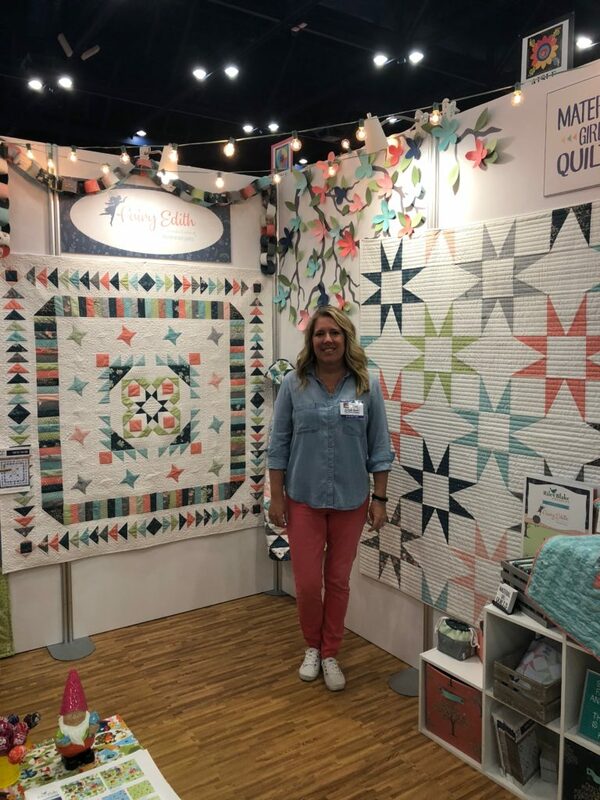 Come celebrate Riley Blake Designs’ 10th anniversary, the beauty of Ashton Gardens and your love of quilting, sewing and making! Registration details are coming soon! 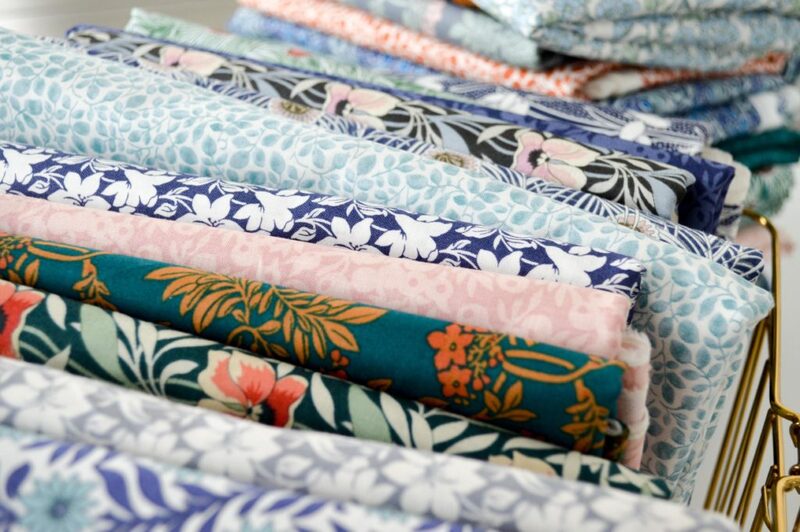 We are also thrilled to announce that Riley Blake Designs is now the official distributor of Liberty fabrics from Liberty of London! 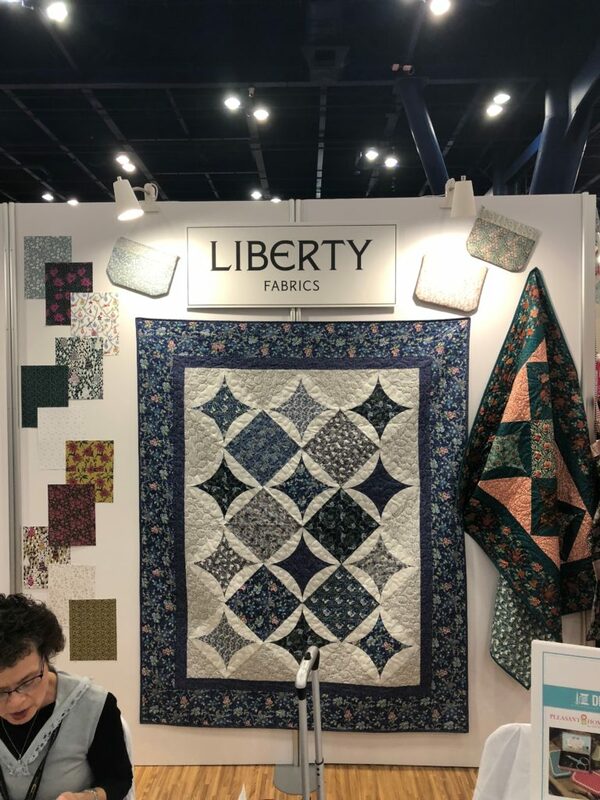 Liberty fabric is 100% quilting weight cotton. 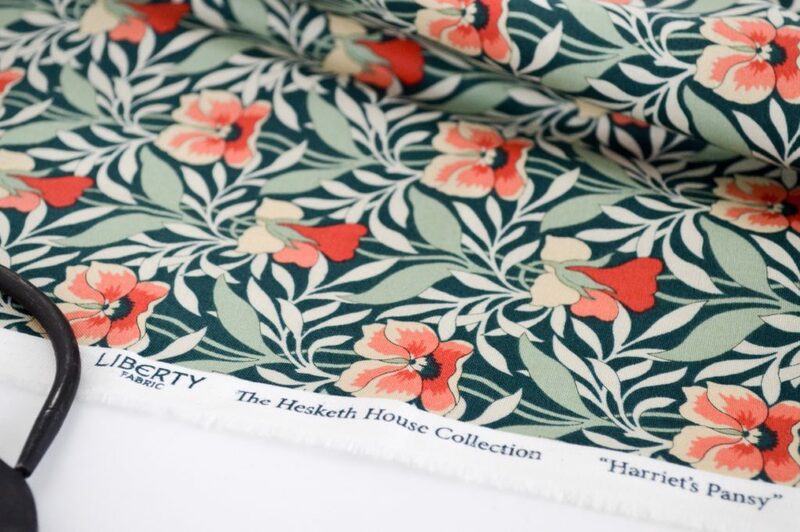 Their newest release, The Hesketh House Collection, will be available in stores soon. Stay tuned for more details! 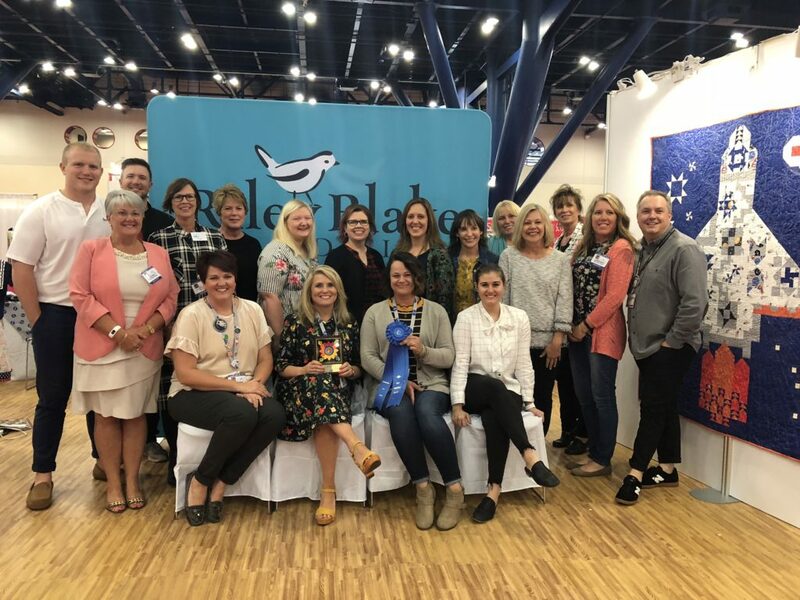 And in other Quilt Market news….Riley Blake Designs took home the Best Multiple Booth Award! We couldn’t have done it without this amazing team of extremely talented designers and behind the scenes planners! 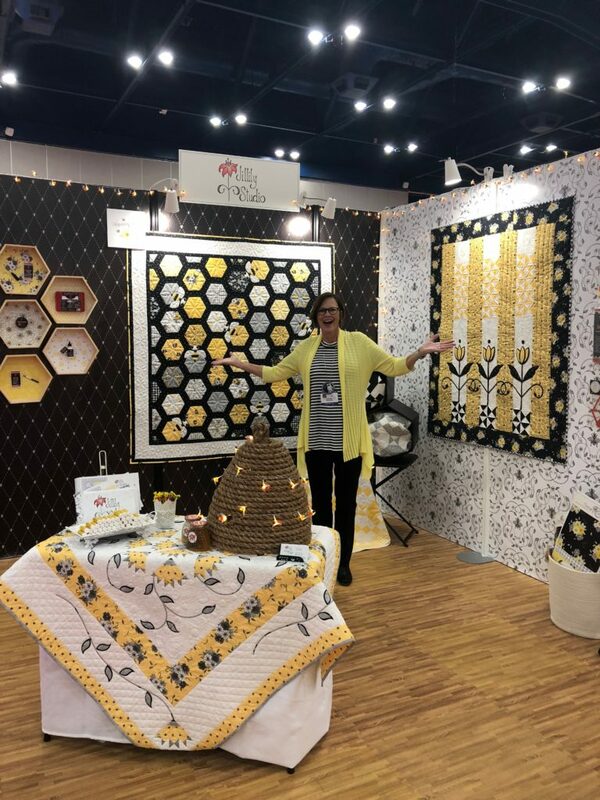 Jill Finley shared a sneak peak of her upcoming Honey Run collection, which will be available April 2019. 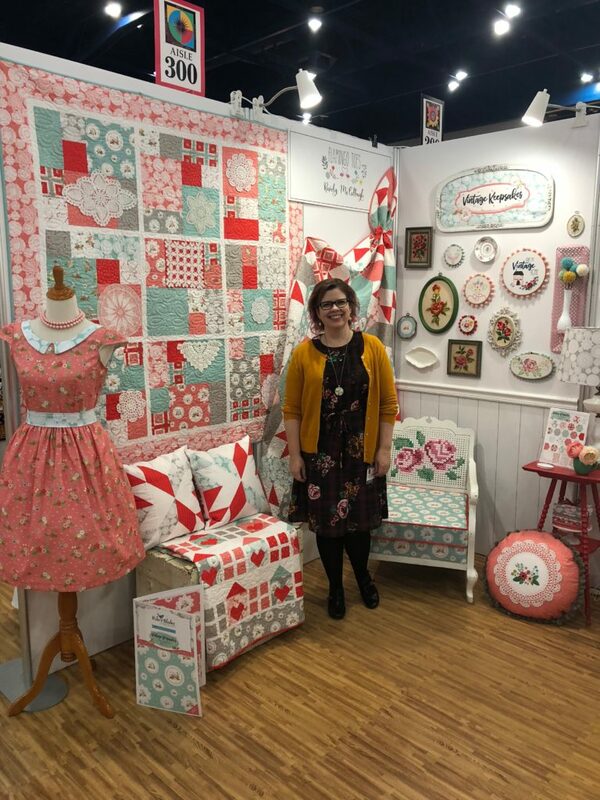 Beverly McCullough shared her upcoming collection, Vintage Keepsakes, which is expected arrive in stores January 2019. 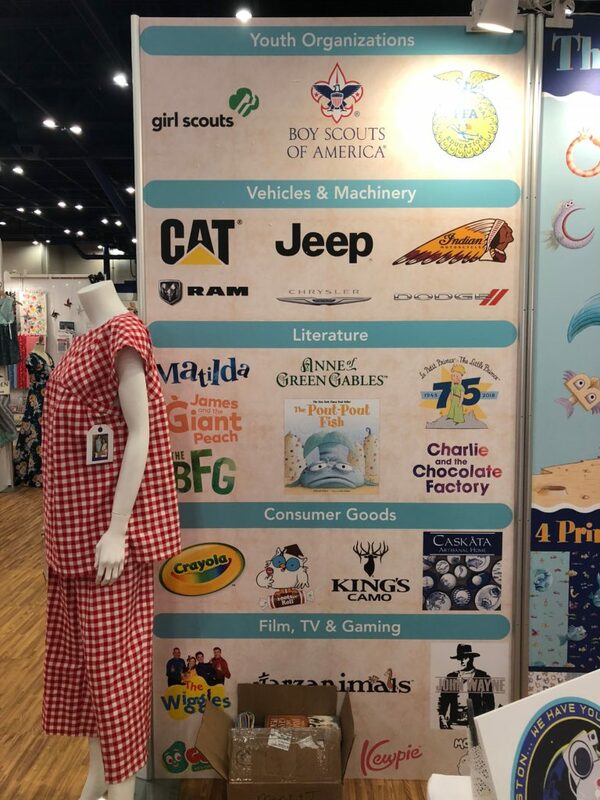 All quilts and embroidery projects shown in Bev’s booth will be available soon on her BLOG. Dress is Simpliciy 8294. How cute is this 1930’s inspired Perfect Party collection designed by Lindsay Wilkes?! Look for it in stores March 2019! Patterns for the center and right quilts will be available soon on Lindsay’s BLOG. The dress is called the Janie Jumper, and can be found in her SHOP. 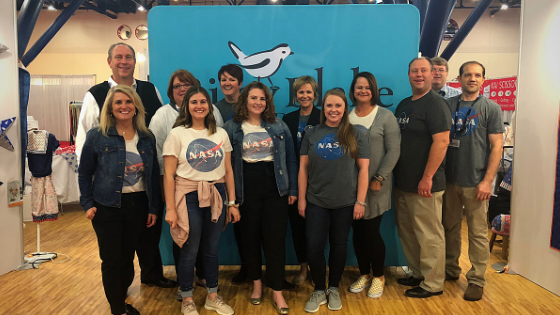 Also coming to you in March 2019 is Majestic, designed by Gerri Robinson of Planted Seed Designs. All of these stunning quilts can be found at www.plantedseeddesigns.com. Sue Daley and Gabrielle Neil’s latest collection, Abbie, is available now in stores. 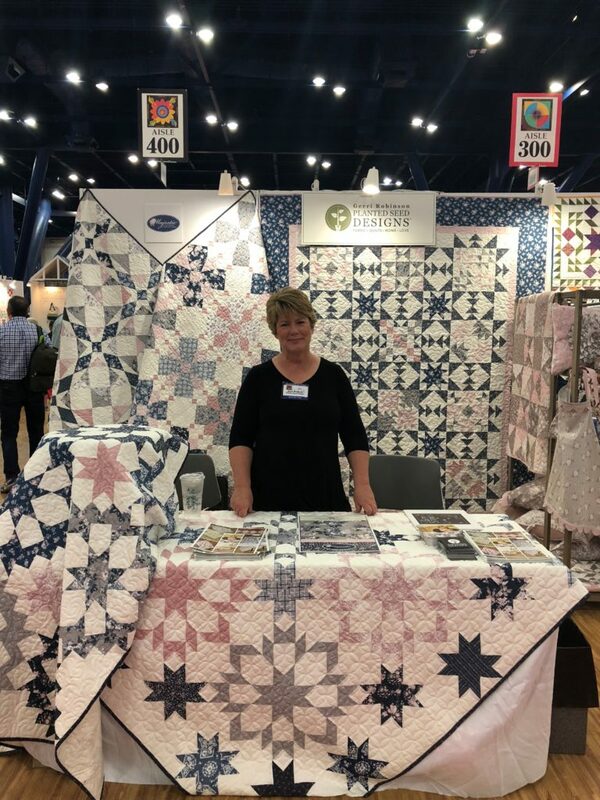 Sue’s English Paper Piecing skills were on full display with her amazing quilts and projects. 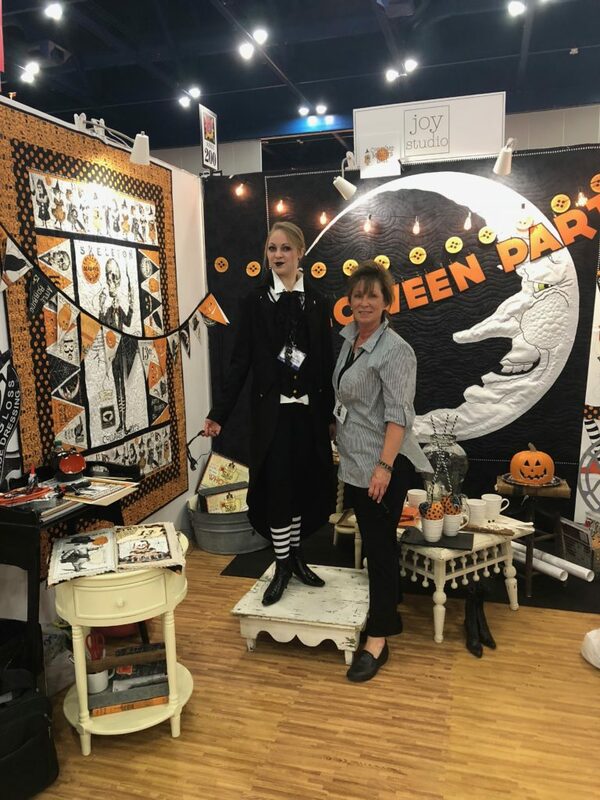 All of these projects are currently or will soon be available at https://www.busyfingerspatchwork.com/patterns/sue-daley-designs/quilts.html?p=2. Shawn Wallace’s Gnome and Gardens display was absolutely enchanting! 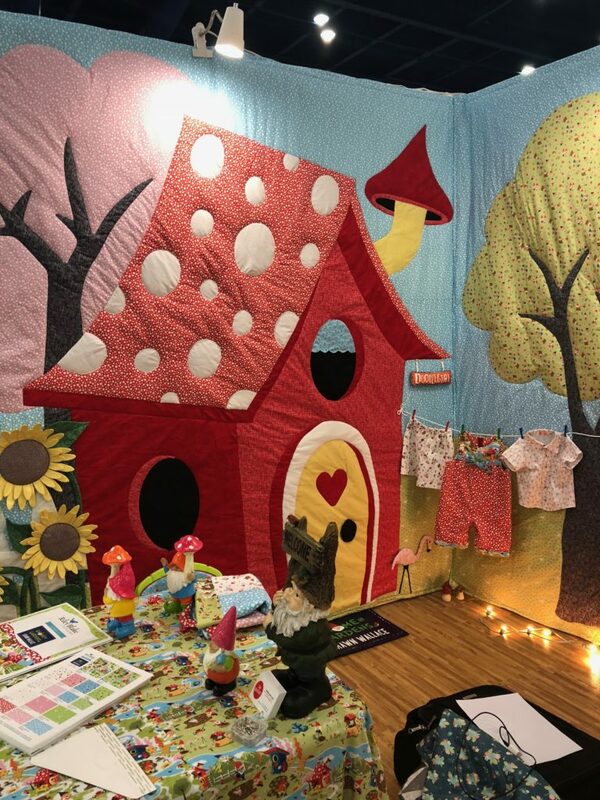 Gnome and Gardens is expected to arrive in stores February 2019. Pattern info: Jumpsuit is New Look 6274. Shorts are Simplicity 8180. Shirt is McCalls M6873. 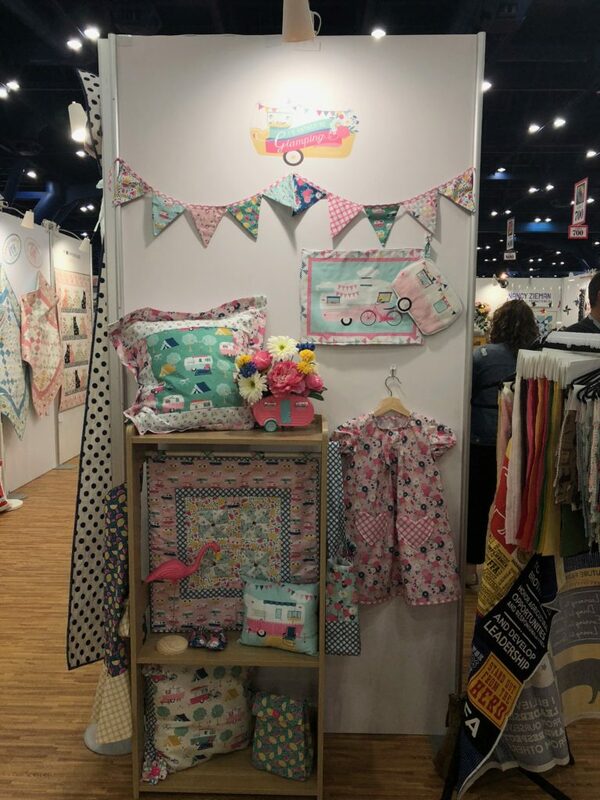 We are totally smitten with Amanda Castor’s Fairy Edith collection! Look for this gorgeous range in stores May 2019. 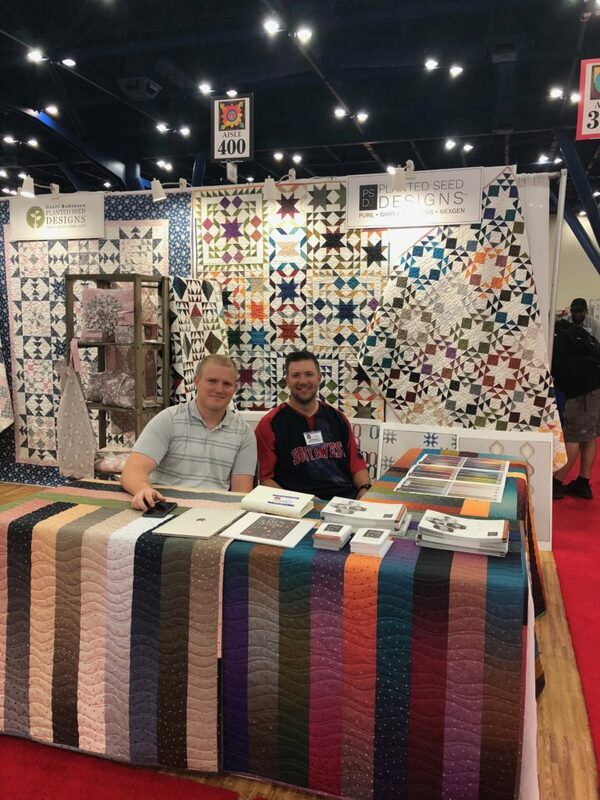 The quilt patterns are available at https://materialgirlquilts.bigcartel.com. 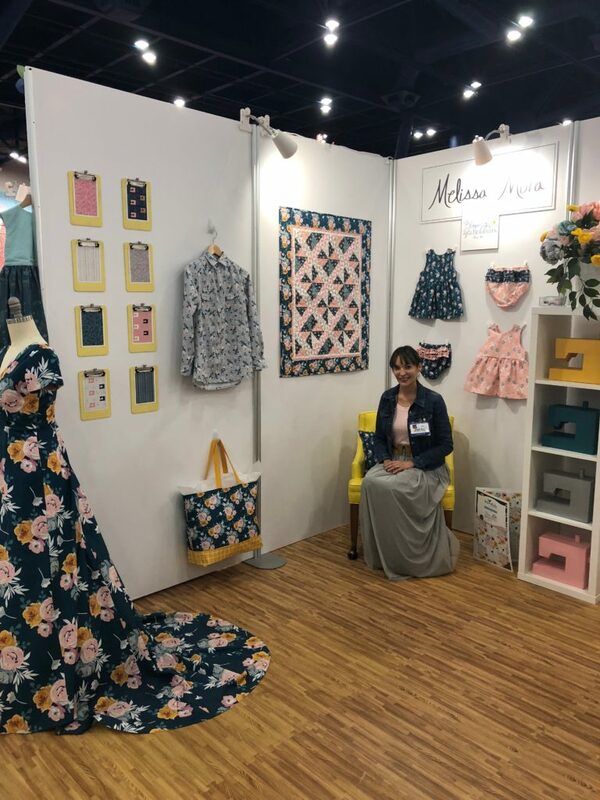 Melissa Mora’s upcoming collection, Blooms & Bobbins, was a show stopper! 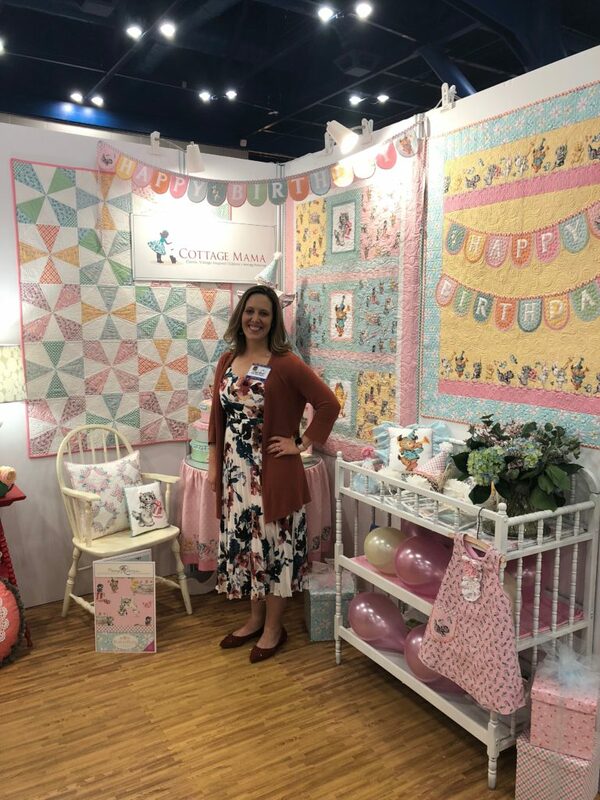 Blooms & Bobbins will reach stores June 2019. Main Dress is a SHOW EXCLUSIVE with no pattern! We’ve been getting a lot of questions about that one but it is custom. 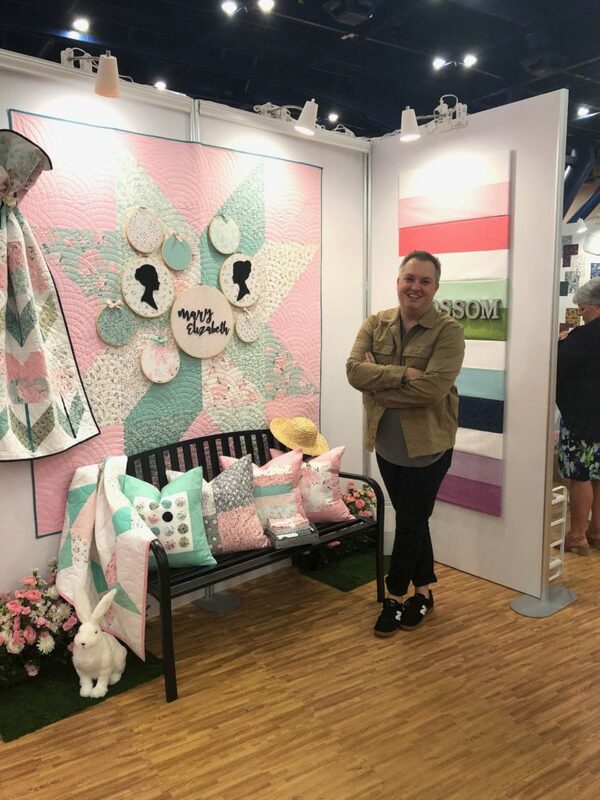 Christopher Thompson, otherwise known as The Tattooed Quilter, had his charming Mary Elizabeth and absolutely necessary Blossom basics on display. Mary Elizabeth is expected to ship to stores this month. Blossom will arrive in stores in December! This fun collection is called I’d Rather Be Glamping by Dani Mogstad. I’d Rather Be Glamping will ship to stores in May 2019. These stunning gradient prints are from PSD2 are coming to stores in April 2019. The quilt patterns you see in the background are available at www.plantedseeddesigns.com. 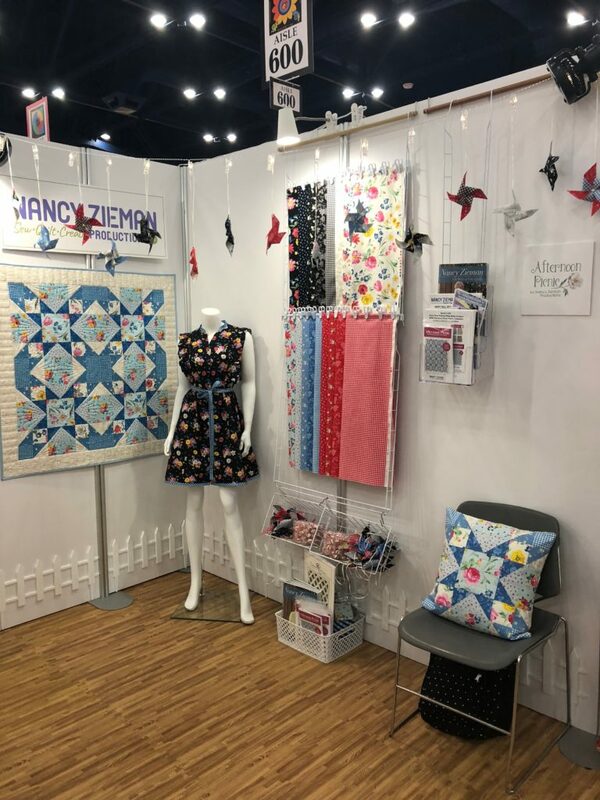 Afternoon Picnic, by Nancy Zieman Productions, is also available now! Take a look at our currently available and upcoming licensed collections – so fun! The red gingham is from our Woven Gingham collection, and is available now. Thanks for taking the virtual tour with us! Happy Sewing!